One of the biggest mistakes business owners make when they need to improve their profitability and cash flow is to dive right into the details of how to either increase sales or how to identify specific expenses to cut. They start with tactics rather than strategy. It is a natural tendency to dive into the details, but in my experience, it usually leads to very little—if any— improvement in profitability. The wiser approach is to take the time up front to consider what you are really trying to accomplish when you are thinking about improving your profitability. 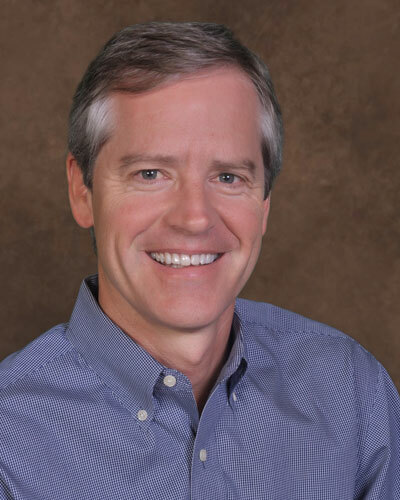 Over the last 30+ years managing the financial side of businesses, I have found that driving profits and cash flow higher needs to start as a top-down (not a bottom-up) exercise. It should be strategic in that it begins with thinking through the big picture questions about what you are trying to accomplish. You want to think big and strategically before you think small and tactically. Improving your profitability should start in the context of a larger plan, or framework, for accomplishing your objective. Here is an 8-step process you can use to increase your profits the smart way. 1. 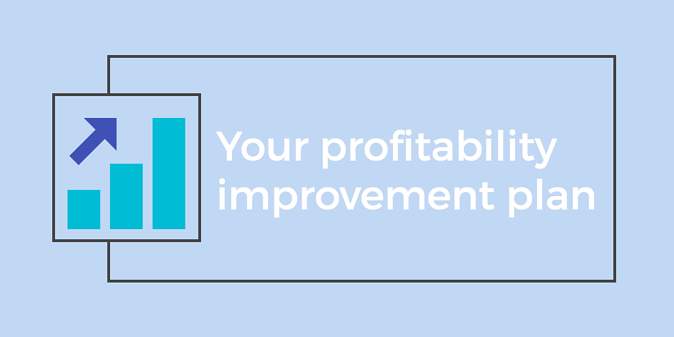 Why do you want to improve profitability? Write down a few short sentences about what is driving your desire (or need) to make more money. This is an important first step because it turns into words the feelings or concerns inside you that make this work important to achieve. 2. Put a number on what your real profit is (as a dollar amount and a percentage of sales). By real profit, I am referring to the profitability of your company after deducting a market salary or compensation for the role you play in the company. Remember, you get a salary for the role you play as a manager or operator in the business. Profit is the what is available to you as an owner of the business to either reinvest in the business or receive as distributions of excess cash. This article will help you avoid the “fake profits” mistake. 3. Put a number on what your real profit should be (as a dollar amount and a percentage of sales). One way to get a sense of what your profit should be is to use this 5-Minute Profitability Assessment to get a sense for what portion of your sales should drop to the profit line. You can also use this Profitability by Industry interactive dashboard to review actual profit margins for the industry you operate in. 4. Write down the difference between #2 and #3 to get your profitability gap (as a dollar amount and a percentage of sales). If your profit right now is $750,000, and your profit should be more like $1,000,000, then your profitability gap is $250,000. If your annual sales are $10,000,000, then your profitability gap is 2.5% of sales. It doesn’t matter if your profitability gap number is perfectly accurate. You just want a ballpark number that will help clarify the scope of improvement you are going to strive for. 5. What is losing the most money right now in your business? Write down one item/area and put a dollar amount on how much money it has lost over the last year. Here is a statement that will sound strikingly obvious to you when you read it: “The fastest way to make more money is to stop doing things that lose money.” Sounds obvious. Sounds logical. But I can tell you from firsthand experience as a CFO over many years, this is almost never practiced in business. Entrepreneurs are gifted with a spirit of persistence and a “never give up” attitude. It serves them well in many regards, but it tends to blind them to the need to shine a bright light on certain things within the company that consistently lose money. In that instance, the “never give up” attitude can actually poison profitability. Ask someone you really trust to help you identify just one thing in your business that is losing money. Write it down and put a dollar amount next to it. 6. What is making the most money right now in your business? Write down one item/area and put a dollar amount on how much money it has made over the last year. There is a good chance that what is working best right now can be expanded. 7. Write down three things you can do to eliminate the money loser in #5 (together with an estimate of the dollar impact of each). I promise you are going to be tempted to say, “We just need a little more time to make this thing work.” But chances are you have already been working on it longer than is wise. Now it’s time to kill the money loser. It is the fastest way to make more money in business. 8. 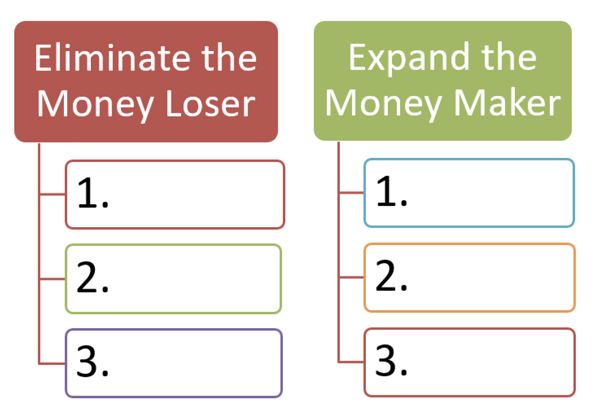 Write down three things you can do to expand the money maker in #6 (together with an estimate of the dollar impact of each). Expanding and accelerating what is already working is the second-best way to improve profitability fast. Spend some quality time thinking about three very specific ways you can expand what is already proven to be a money maker. Improving profitability should start with stopping those things that are losing money, and expanding and accelerating those things that already make money. Now you can spend some time thinking about the more tactical steps required to hit your profitability targets. Here’s to ever-growing profits and cash flow in your business. Are you ready to improve your profitability? 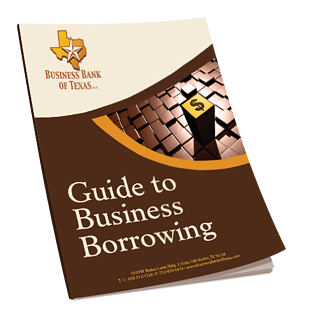 Download our ebook to learn how to confidently grow your profits and cash flow.